Precor EFX 546i version4 features a no-impact, forward or reverse elliptical stride that lets you adjust ramp and resistance for cross training benefits. 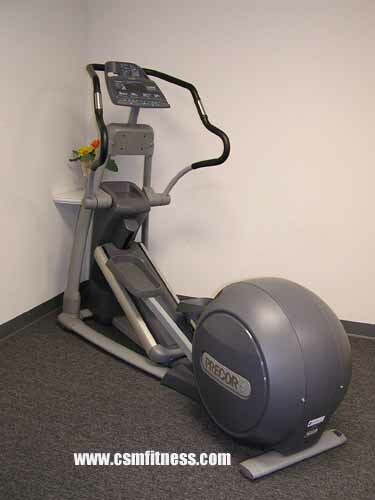 Precor EFX 546i is cordless; it runs on the power generated from your body’s energy output by converting your strides into electricity to run the machines components. The exclusive, electronically adjustable Cross Ramp lets you change the slope of the stride with settings from 10-40 and just the touch of a key to vary muscle emphasis. 8 Programmed Courses include Manual, Crosstraining 1, Crosstraining 2, Crosstraining 3, Gluteal 1, Gluteal 2, Interval, and Weight Loss Interval.